Christmas and the New year is coming! A holiday period and a joyous season. But its time to do something for yourself. When was the last time you had set a New Year Resolution?And most importantly. Did you fulfilled it? But that’s a Fact. Most New Year Resolutions were either forgotten or totally neglected. As humans being humans will usually revert themselves back to their usual self. 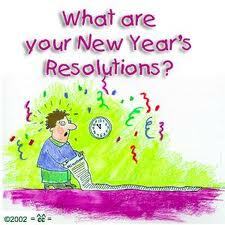 Why take the extra trouble and effort for your new resolution right? It’s just too hard.Here’s the Fact. Nothing is too Hard IF….. IF you find the WHY. WHY must you do it. The CORE WHY.If your resolution is to make a million dollars this year. What is the WHY? WHY must you do it? If you did not achieve it, what would happen? If the WHY is not strong enough, or the why is just superficial. You will NEVER achieve it. It has to be Deeply Linked to your Heart. Your have to feel your emotions flowing when you hear the WHY. It has to be so Strong that you cannot give up your Goal. The next is the HOW.Most people are very anxious and excited about their New year resolution and they will get all raring to go in the first few months. Gradually the energy dies down and you will forget about your new Goal / Resolution.So what do you have to do? You have to plan out your route on achieving that goal. In how many days, or months, or years.Start off with a short term goal then the bigger one.Once you have set your monthly goal, you got to zoom down to the weekly goal and then the DAILY goal.Which means that what do you have to do daily to achieve your final goal. It is the stuffs you do daily, that will eventually lead you to your final goal.Example lies in forex, if your new year resolution is to be a disciplined trader the new year. What do you have to do daily? Every day, you have to ensure that you NEVER take trades on impulse. A single day of impulse will spoil your goal for the entire year! You heard it right. One slip will kill your goal. Which is why to achieve a goal, you have to plan and implement it EVERY SINGLE DAY for the coming year. The day you stop doing it, You stop progressing towards your goal. I hope you find this post beneficial, as this not only relates to forex. It also relates to your own job/business, health, life, happiness.It is the little things that you accumulate Every Day that lead you to your final target. Start setting your New Year Resolutions Now.And start setting your Daily Must-Fulfill Goal NOW!